I decided that this one is done. 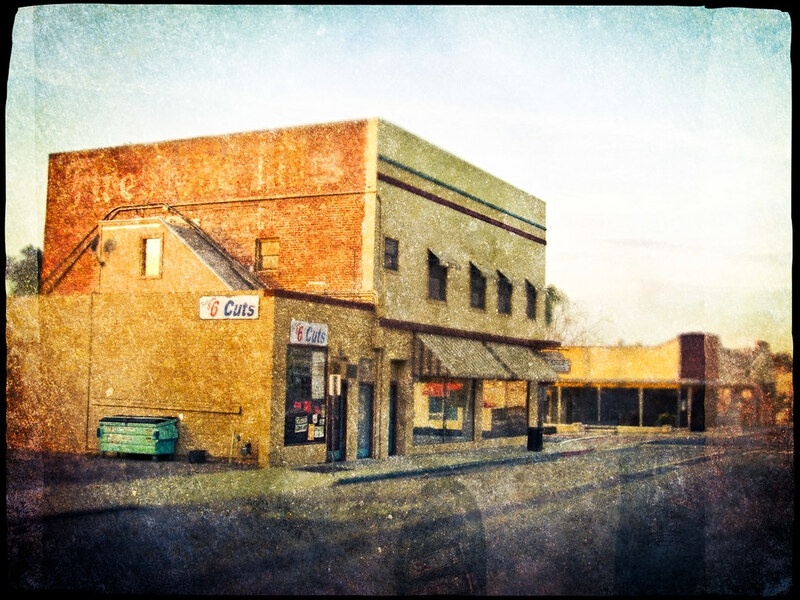 It is sort of my first stab at extending my landscape series into the downtown area of Fillmore. Photographing Fillmore has been tough – I’ve been here about 6 years now, and I can’t help feeling that I have already taken the best shots of this town. Of course, this feeling is complete nonsense – there are infinite photos to be taken in any location regardless of where it is and I have just barely gotten started. Perhaps the solution is to try to keep expanding the boundaries of this project and continue shooting as much and as many subjects as possible. Seven years after it’s first printing, I decided that it was time to print and bind the second edition of my first book, Freekmagnet. The first edition was printed in a run of 40 in 2005 by my friend Elli at Paperlily and was spiral bound. She did a great job and I managed to sell almost all of them – I gave one or two away. I wanted the second edition to have a different look and have a more finished binding, so I did a search and found a great tutorial on paperback bookbinding at PersistenceUnlimited.com. I was shocked by how easy bookbinding could be – in fact the hardest part was finding a cool paper stock for the cover! I set up the type and the layout in InDesign and spent an evening or two parked in front of my Epson printer printing the pages for the book. I built a little clamping jig with some scrap wood and glued the spine together. Overall, the results are fantastic! I’m pretty lousy at creating on-line tutorials, but I have posted a few images of the process below. All the printed pages for Freekmagnet laid out to dry. I used a makeshift book clamp out of scrap lumber. The pages turn and the spine is solid. This copy is a prototype for a run of Freekmagnet books I will be doing soon. I will be selling them, but be warned – they will not be cheap! These are really beautiful books and take a lot of time and expensive materials to produce. I haven’t figured out my actual costs yet, but I will be asking at least $85. Hopefully, I will be shooting some better product photos later today (I’m sick and I should be in bed ), so stay tuned if you want to see some nicer pictures of the finished first copy of the second edition of Freekmagnet.